The Freeman Dining Chair will look great around the dining room table or can easily complement any kitchen set. 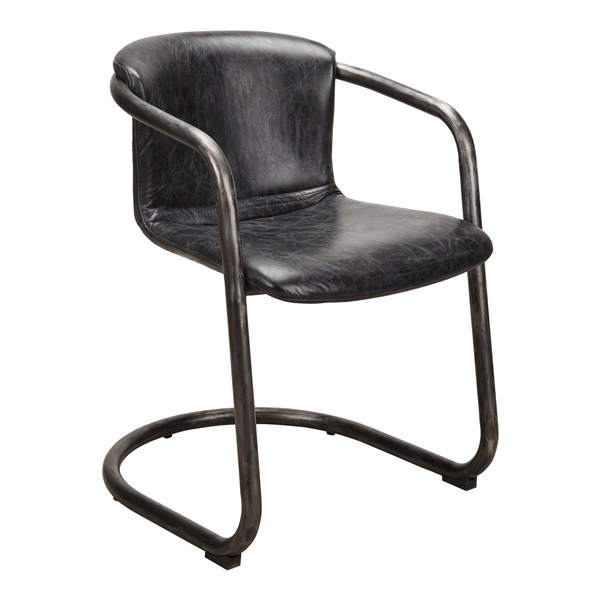 Expertly crafted of solid iron with a plush, top-grain leather seat, this piece features a curved base and arms to provide increased visual appeal and panache. It boasts a contemporary, industrial style with an antique black finish that can be seamlessly incorporated into any existing decor.